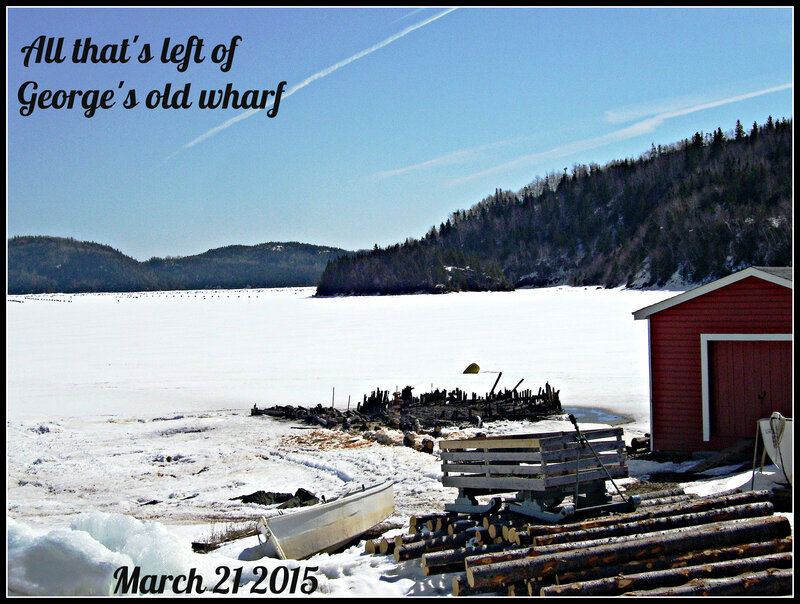 There once was a lonely old wharf….. When I first moved down to Bumble Bee Bight I didn’t pay much attention to the lonely old wharf where the weather beaten stage (Newfy for shed or boat house) sat. It was more of an eye sore then a land mark. I didn’t even know that it was owned by my landlady’s brother George. Then one day a friend of mine came over for a coffee. 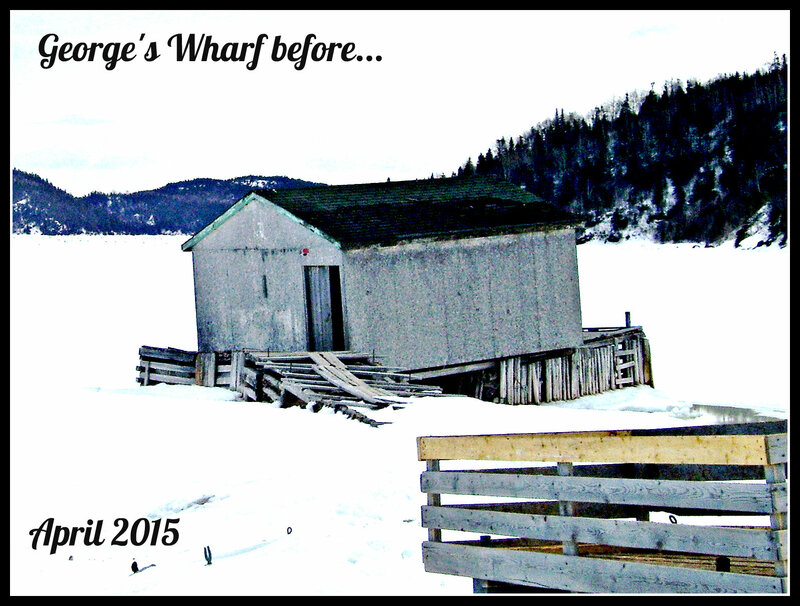 As he walked through the door he nonchalantly mentioned that George’s old wharf had finally slipped into the ocean. I looked out my door and sure enough it was sorely displaced. I posted this picture on my facebook page and the next thing I knew, the wrecking crew had shown up. All morning I heard chain saws and vehicles were coming and going and people were milling around. When I looked out poor old George’s Wharf was a blaze. So that was that! The stage was in flames. 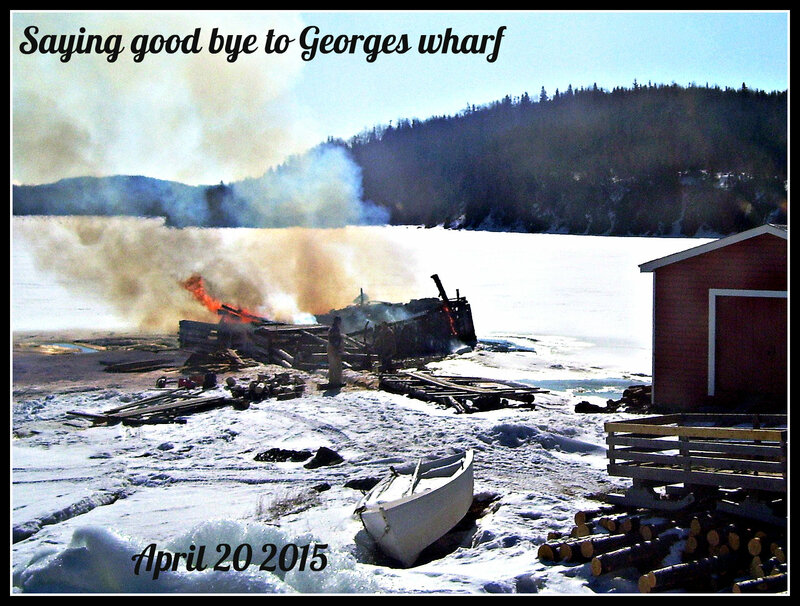 But what a beautiful day they had for a beach fire! 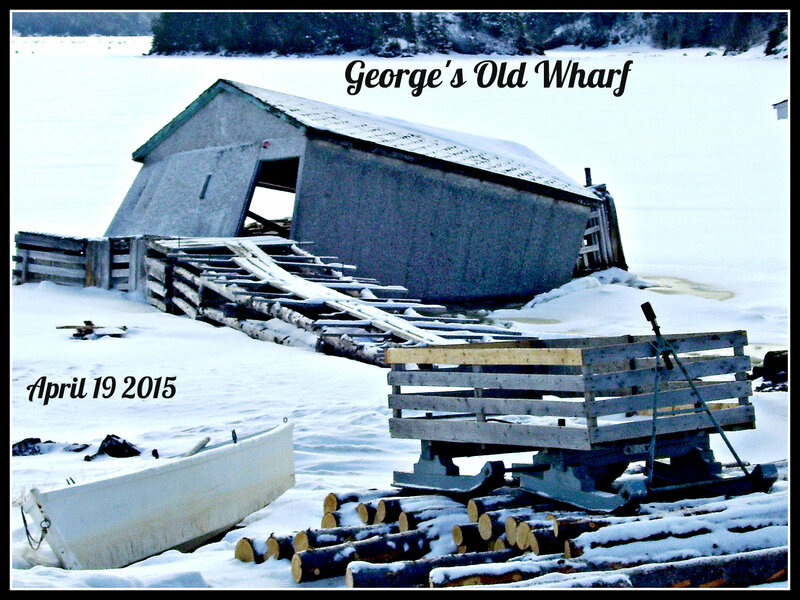 This is all that is left of George’s old wharf and in time the ocean will claim the rest of it.